Williams and Milton Roy have combined technologies to design a pump blending the proven mRoy® hydraulic by-pass diaphragm design with the Williams “V” Series pump. The result is the low volume, high turndown characteristics of a pneumatic drive coupled with the chemical containment and high pressure capabilities of a hydraulically actuated diaphragm. 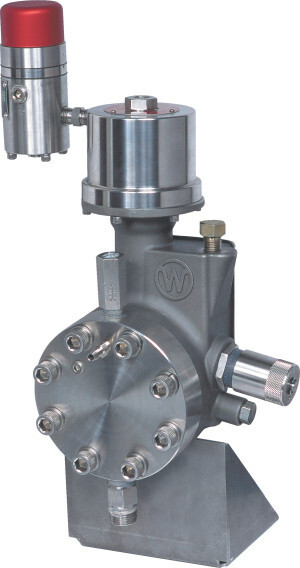 The WILROY is a hydraulically actuated diaphragm pump which delivers chemical containment, low maintenance, over-pressurization protection with unsurpassed accuracy and repeatability.